Each and every one of us has so much inside waiting to explode out into the world. This 2 month experience is for you if you want to shout “HELL YES!!! !” as you pull on your BIG pants and step into your BIGNESS! For 2 whole months we are going to dream BIG, paint BIG and go for it BIG time as an intimate group of 4 who are ready to BRING IT to the world! As you paint on THE BIGGEST canvas of your life, you will learn how to paint your soul’s art as you are coached on how to expand in your life or biz. 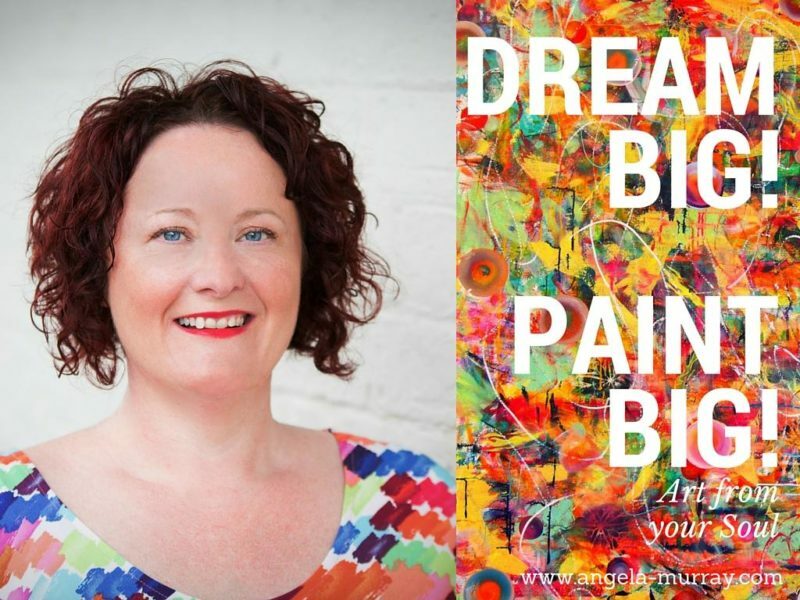 You will be bringing to life your BIG dreams, intuitively painting your own BIG soul painting – and uncovering your deepest desires to achieve a BIG breakthrough! You will take time to listen to that inner whisper inside calling you to BE BOLDER, and to take the BIG energy from your canvas into your life. To use your creativity to create your BIG life and biz success. For so long I have wanted to offer this experience to connect you with your own BIGNESS. To show you how to connect, create and paint the BIG Happiness that is calling you. Every entrepreneur in the world starts their business fuelled with Creativity, Passion and Curiosity. This modern way of approaching biz and life has proved so successful to so many small businesses who DREAM of being BIGGER , by building on their creative passion. You want to expand your inner world in a BIG BIG BIG way! Truly creating abundance in all areas of your life starts with allowing yourself the freedom and space to move, to expand your beliefs around what is possible and all that you deserve. Imagine being able to step into your dreams with a new ease, to give yourself an outlet to express what your heart is really wanting to say, to see that your biggest scariest visions are simply the next biggest piece of YOU waiting to come out. This is what my process is truly about. It’s about releasing all of those preconceived notions of what your life and business are ‘supposed’ to look like and sprinkling fairy dust all over that. AND for a full month we’ll be drawing out of YOU your BIGNESS and splashing it onto that canvas. 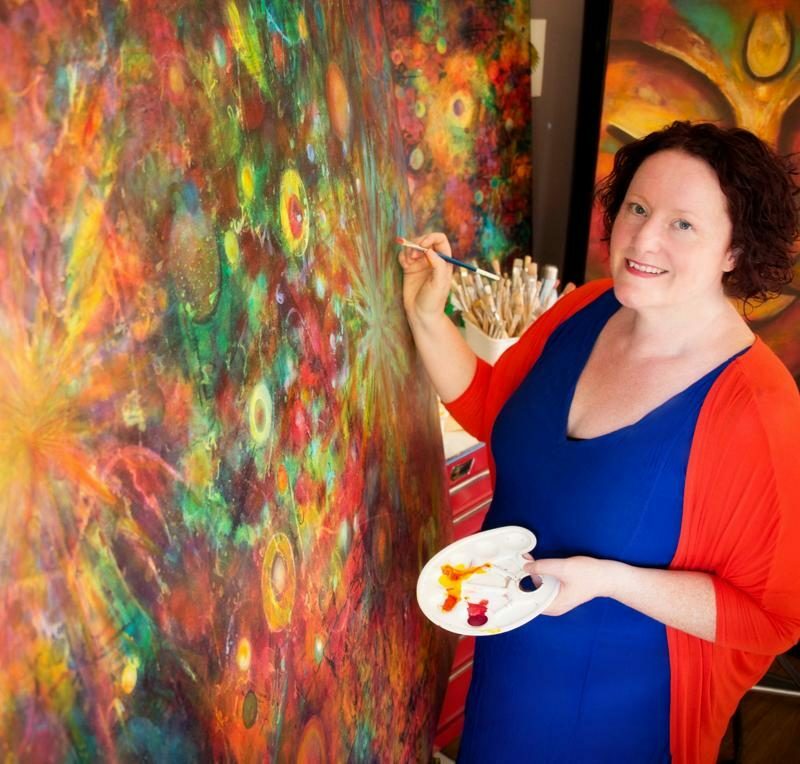 Are you ready to go SUPER SIZE in your life and on your canvas?? This programme is limited to 4 participants so that each person gets intensive support in an intimate setting. Imagine spending 2 whole months of intuitive artful play, and experiencing BIG expansion in your world. I am proof that the more creative you allow yourself to be, the more you see possibility in every situation you may have felt too difficult to deal with, or too hard to push through. In this these 2 months you too will release your ‘shoulds’ and embrace the BIG BOLD YOU that is crying “Hell yes!! !” inside. 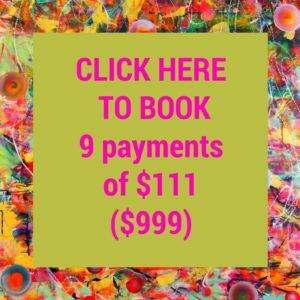 Book your own Dream BIG Paint BIG 2 month Experience now with a $111 deposit – then 8 further payments of $111 every two weeks (Total $999) by clicking the PayPal link below. Or by paying directly into my bank account: 02-0139-0109721-001 – A. Murray.